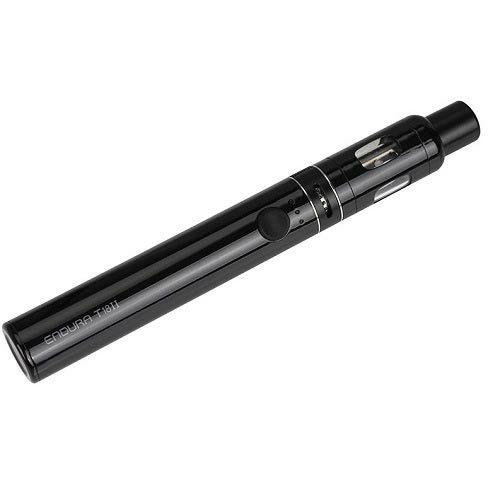 ENDURA T18 II Kit: The worlds best vape pen just got better! 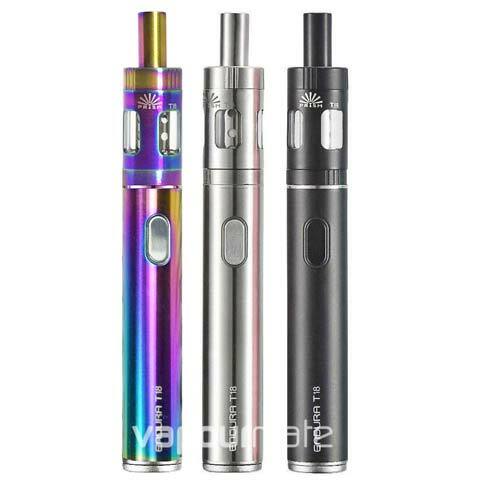 Innokin have upgraded the worlds most popular pen style vape to bring you an even better MTL vaping experience that ever before with the brand new Endura T18 II Starter Kit. This new version brings a sleek new e cig design while managing to keep the simplicity of the original Endura t18 and also uses the same coils from the original version. 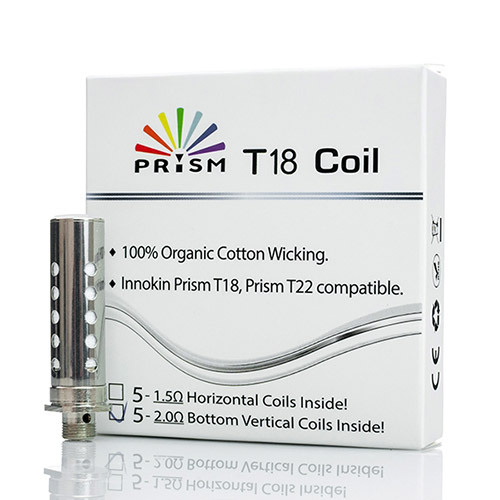 Featuring a bigger battery capacity the T18 II contains a built-in 1300 mAh battery instead of 1000 mAh which should enough to see most vapers through a full day of vaping. 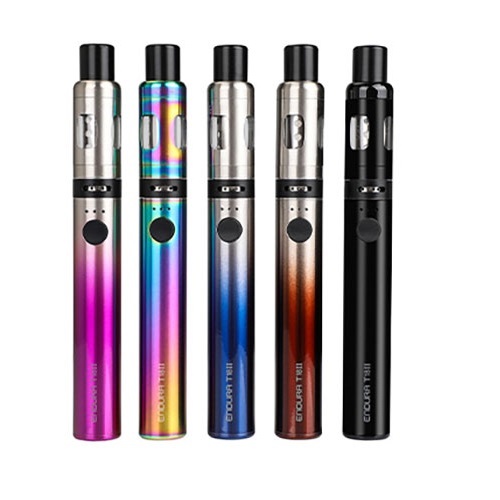 You also have the choice of 3 power settings and airflow control to give you the ability to have more control over your preferred nicotine intake. This model also comes with a magnetic dust cover to ensure your drip tip is kept clean at all times. Great starter vape, adjustable power and air flow. Only gripe is slightly small reservoir(still enough for a days puffing). This a great vape pen,have always. had the old T18,but the new is loads better more vaper . I thought the Endura M1 was good but the M2 is even better. So simple to set the power and airflow to your own requirements giving a controlled cool vape with no burn on the lips that brings out a pleasant flavour from your e juice, perfect to use with darker thick liquids like chocolate. The battery life is good, just about 2 days for a heavy vaper and the coils last a fair time before they need replacing. If you want to stop smoking the fags this will get you off them. I would also give vapourmate a 5* review as a company, speedy delivery and the best price I found for this product. Have always liked the Endura and it's simple mtl way. And this updated verson makes it even better. Using it with a high pg 1.2% juice and there is no reason at all to continue smoking normal smelly horrid fags. This was my first order from Vapour Mate too and had no problems at all. Been using the original Endura T18 for 4 years and just upgraded to the new T18 2 kit seeing I love the original one so much and what a brilliant pen for 25 quid. Better battery and and few other nice extra features. Definitely worth the extra 5 quid for the T18 2.